Sparkling seas backed by lush forests, elegant resorts and attractive towns. Istria is Croatia’s beautiful northern region, boasting a brilliant combination of intriguing history, idyllic scenery and picturesque coastlines – discover it all from your seafront hotel. 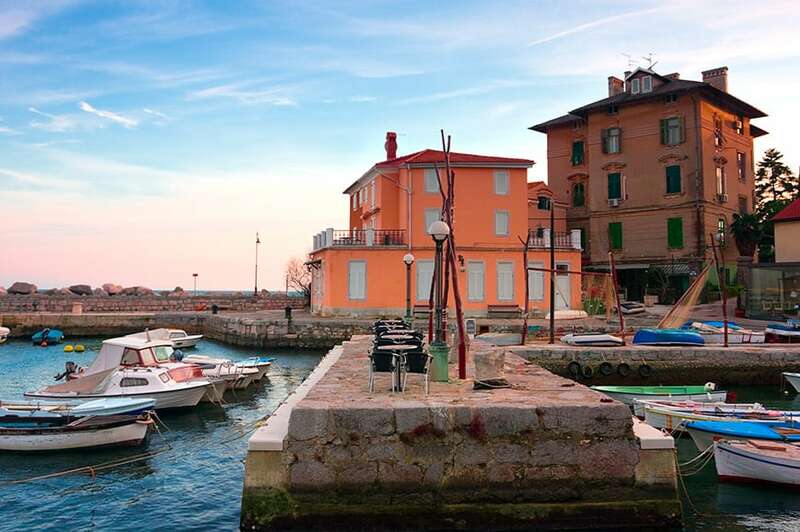 Join your fellow travellers in Lovran, a charming town with a relaxed atmosphere on the eastern coast of Istria. Enjoy some time to settle in and explore your surroundings, before getting to know your travelling companions over a welcome drink before dinner this evening. Located in Kvarner Bay, the stylish resort of Opatija, boasts amazing sea views and splendid Austro-Hungarian architecture. We’ll visit here on today’s included excursion and take a stroll around the beautifully maintained gardens and along the lovely coastal promenade – the Lungomare – which forms a stunning backdrop to the town’s elegant villas, hotels, shops and cafés. We’ll also enjoy a chocolate-making demonstration followed by a tasting. 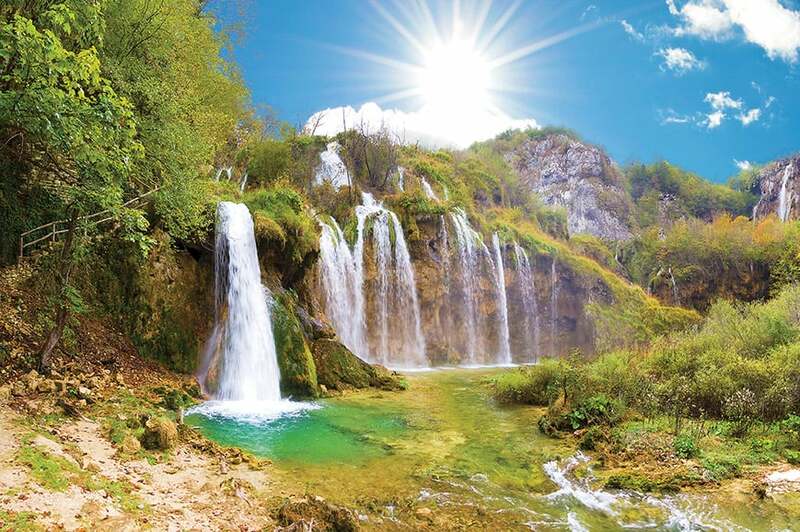 Croatia’s UNESCO-listed Plitvice National Park is situated in a valley between forested mountainsides. Here 16 beautiful lakes spill into one another forming impressive cascading waterfalls, and we’ll enjoy a full day wandering around the bridges and paths that connect the lakes. We’ll take a relaxing boat trip across Lake Kozjak, the largest in the park, and look out for native deer, wild boar and a huge array of bird species. We’ll discover more highlights of the Istrian Peninsula on today’s included excursion. 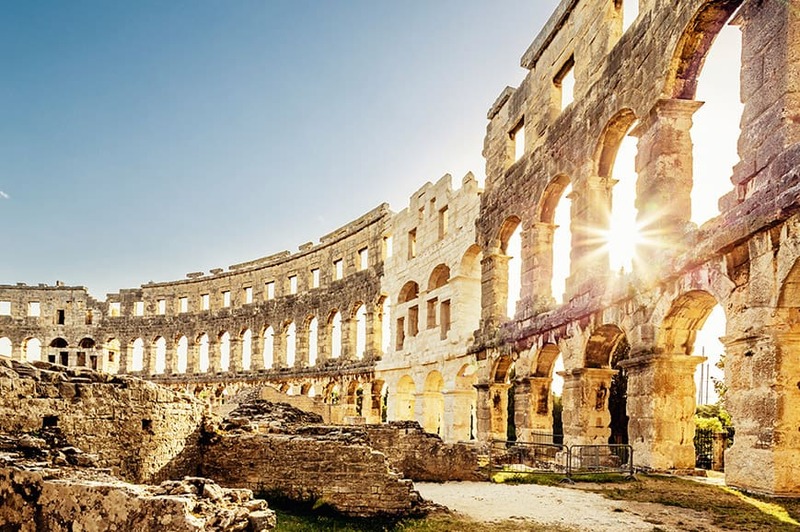 Our first stop is Pula with its Roman ruins and immense amphitheatre – one of the world’s largest and best preserved. Next, we’ll head to the popular resort of Rovinj to take in the sights of the bustling harbour and the Old Town, before calling at a traditional farm where we’ll learn about olive oil production and enjoy a tasting. Enjoy a free day to enjoy the facilities at your hotel. Perhaps take a dip in the pool or relax on the stone-paved beach, soaking up the sun as you look out over the Adriatic Sea. 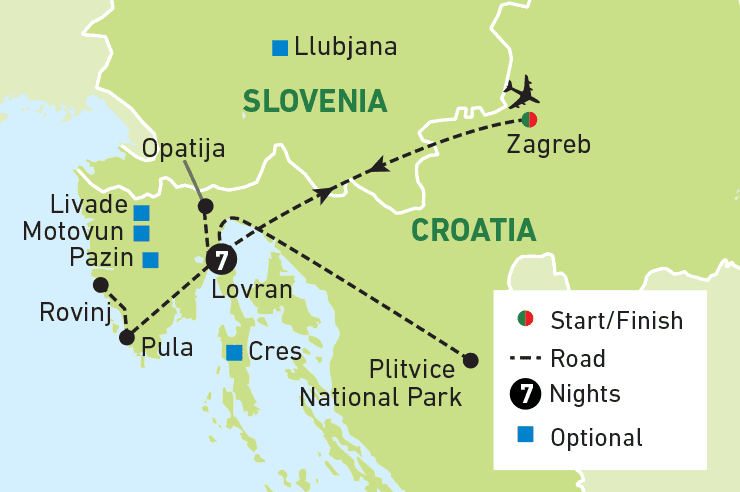 If you want to explore a little further afield, why not join our optional excursion to Ljubljana in neighbouring Slovenia. In the company of a Local Guide, we’ll take the funicular up to Ljubljana Castle, enter the courtyard and admire sensational vistas from the viewing tower. After lunch in a local restaurant, you’ll have some free time to explore at your own pace. Perhaps shop for souvenirs or enjoy a drink with your travelling companions in one of the inviting local bars. Explore at leisure today, either independently or in the company of your travelling companions. Your hotel is conveniently located just a short stroll from the historic centre of Lovran, with its rich architectural heritage. Perhaps you’ll choose to discover this picturesque town and admire the Baroque houses, Romanesque bell tower and Church of St George. Alternatively, you could join us on an optional boat trip to the beautiful island of Cres. We’ll drop anchor in a lovely bay where you can swim in the crystal-clear waters and enjoy a tasty barbecue lunch on board. Enjoy another relaxing day today. Maybe take a dip in one of the hotel’s pools or if you fancy some pampering, perhaps treat yourself to a beauty treatment or massage in the hotel spa. 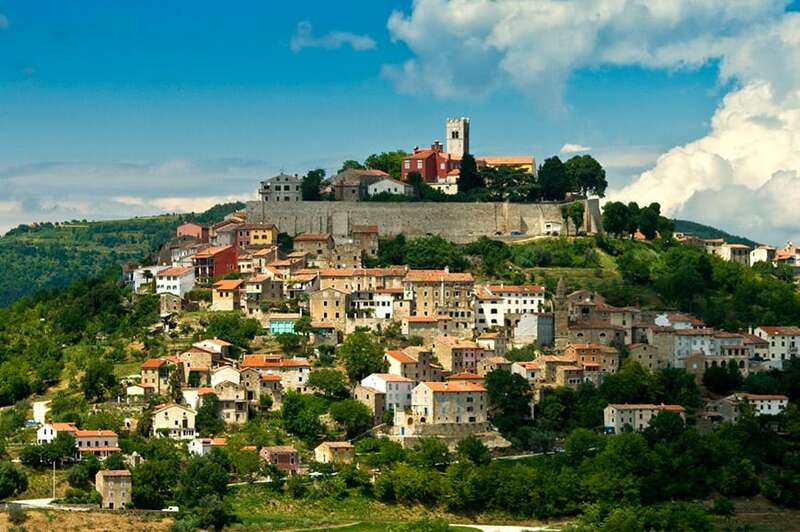 If you want to discover more, today’s optional excursion takes us to the medieval hill-top town of Motovun where you’ll admire wonderful views over the surrounding landscape. Afterwards, we’ll enjoy a delicious truffle lunch at a farm in Livade, and learn more about these local delicacies. This evening we’ll gather as a group for a farewell get-together. Your Just You vacation comes to an end today.